What is an “Invasive Species”?It isa non-native plant, animal, fungus or other organism whose arrival causes or is likely to cause economic harm, environmental harm, or harm to human health. These “invaders” are aggressive species which grow and reproduce rapidly, causing major problems to the new areas in which they thrive. National Invasive Species Awareness Week includes activities, briefings, workshops and events across the United States. It is focused on creating solutions to address invasive species prevention, detection, monitoring, control, and management issues at local, state, tribal, regional, national and international scales. Check www.nisaw.org for more details and further developments! Meet at the parking lot off Morgan Avenue, behind the Women's Club. Bring work gloves, a hand weeder tool if you have one, water, wear sturdy shoes or boots, and dress in layers for any kind of weather. The coral honeysuckle is native to many parts of Florida and elsewhere in southeastern United States. It is widely planted and the vine grows best on trellises and fences and does well in slightly acidic soils and full sun. 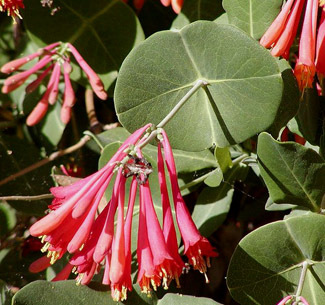 Known for the bright, coral clusters of tubular flowers that bloom throughout the spring and summer, the coral honeysuckle is a definite eye-catcher. They attract all sorts of pollinators such as bees, butterflies, and hummingbirds. During late summer and the beginning of fall, berries are produced and eaten by songbirds. Mangroves are found in Florida because of its sub-tropical environment. The humid, coastal regions of Florida offer ideal conditions for the black mangrove (Avicennia germinans). This particular tree can be seen along the intertidal salt marshes of St. Augustine down to the Keys. The increasing water temperatures of the Atlantic have contributed to the mangroves range expansion northward along the east coast of the U.S.
Avicennia germinans wood is a dark brown with square scales that aids in protection against harsh winds. Its leaves are 2-4 inches in length by 1 inch in width. The topside of the leaf is smooth and glossy while the bottom side is fuzzy. The black mangrove can grow up to 50 feet tall in Florida regions but that is rare. In Louisiana, the mangrove only reaches heights up to ten feet. 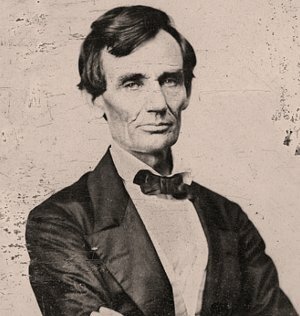 Darwin and Lincoln - Two Peas in a Pod? Valentine’s Day is rapidly approaching. While some people may consider it to be a trivial or sappy holiday, I believe that it’s the perfect opportunity to tell your loved ones that they are an important part of your life. 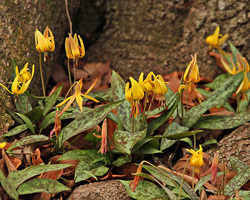 Can you imagine 10 acres of forest floor covered in Yellow-dimpled Trout Lilies (Erythronium umbilicatum)? It's a reality right now at the Wolf Creek Trout Lily Preserve, the 140 acre area that boasts the largest and most concentrated occurrence of these little yellow beauties in the U.S.. Although they normally do not flower until mid to late February, an unseasonably warm winter has coaxed them into an early display that is not to be missed. Among the other rare and interesting wildflowers on the site are thousands of deep maroon Spotted Trillium (Trillium maculatum). 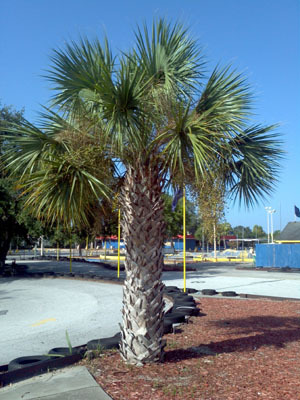 It's not a well-known fact, but this most regal name for the Sabal palm (pronounced Sāʼbăl) (Sabal palmetto) originated with Native Americans, perhaps on seeing their first palm trees. With that being the case, it bodes for us to pay closer attention to the heritage of our state symbol. These nobles began life in the Unite States in our southeastern region after having wandered north from the Caribbean area where they can thrive here today—with the proper care. They are also commonly called Cabbage, Palmetto or Hat palms, with 16 species spread across northeastern Mexico to Florida. They find a comfortable habitat in open areas, where the dunes flow and flats tidal, savannas breeze, occasionally swamp shades and even—salt marshes! 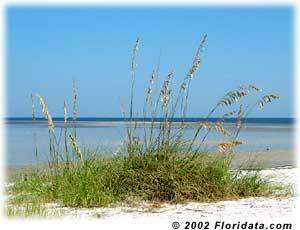 If you have ever been to a sandy beach in the state of Florida then you have likely seen sea oats. This grass can grow up to 6 ft tall and the individual grass leaves can be as big as 2 ft long and 1 in wide. Like most grasses, the leaves are long and tapered.